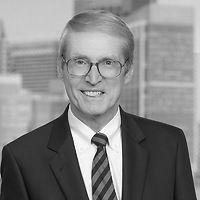 Boston – Nutter represented Group RHI, a rapidly growing player in the retirement services industry, in its acquisition of Billings and Company, LLC, an Iowa-based recordkeeping and qualified plan administration company. The legal team was led by Michael Kushnir in the Corporate and Transactions Department, and included Portia Keady on corporate matters and Michael Mooney on tax issues. Group RHI was formed with the goal of creating a leader in the retirement services industry. The company’s strategy begins with the acquisition of successful TPAs, recordkeepers, and actuarial consultants. Group RHI strives to accelerate growth, profitability, and service excellence by leveraging scale, technology, financial resources, and operational expertise. Members of Nutter’s Corporate and Transactions Department represent domestic and international corporations, publicly traded and privately-held companies, private equity firms, nonprofit institutions, and family-owned businesses in a wide variety of domestic and cross-border transactions. The firm’s attorneys advise on significant transactions in every major industry sector, including manufacturing, high technology, life sciences, banking, insurance, professional services, real estate, energy, chemicals, medical devices, and health care. Nutter’s corporate law practice handles the full range of M&A and private equity transactions, including representing buyers and sellers in auctions and bid processes, mergers, asset sales, stock purchases, leveraged buyouts, roll-ups, joint ventures, PIPEs, going private transactions, exchanges of securities, friendly and hostile tender offers, proxy contests, and acquisitions.